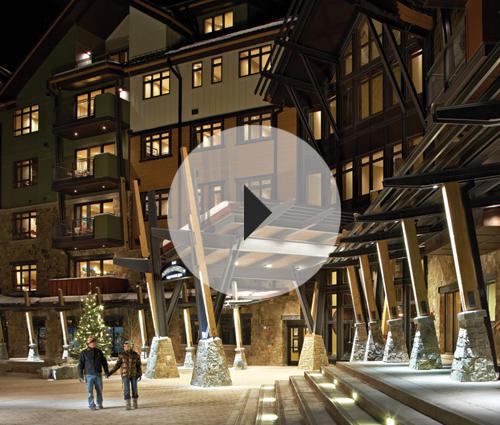 Located slopeside at the gondola, One Steamboat Place – A Timbers Residence Club is the West’s most inviting and colorful mountain resort. It is a place where Owners can sleep late, step out of their slippers and into their ski boots and hop onto the gondola, which is mere steps from our door. From powdery slopes to the lap of luxury, One Steamboat Place offers a lifestyle that’s comfortable, cozy and always entertaining. There are 80 private, luxurious residences with picture perfect perspectives of the mountains and the entire valley...only the magnificent interior appointments rival the views. Along with luxurious finishes including heated bathroom floors and true gourmet kitchens are favorite Timbers touches – great game rooms, Owner gathering areas, dining at Truffle Pig, ski valets and one of the greatest mountain spas anywhere. One Steamboat Place offers five-star amenities and personal service to make Owners and guests feel at home – gracious, knowing and unpretentious attention to every detail, to ensure that every stay at your mountain home is as effortless as it is memorable. Discover practical and effortless ownership in the Rocky Mountains. Whether you want to put your feet up or kick up your heeks, there’s simply no place like One Steamboat Place. One Steambot Place, slopeside at the gondola, is right at the foot of epic Mt. Werner wher eoyu can step out of your slippers, into your boots and onto the gondola. Please contact us at 866.578.9174 (toll-free) or 970.510.6798 (outside the U.S.) or complete this form to learn more about One Steamboat Place and a representative will contact you shortly. Great staff, every request was received with prompt, professional, and friendly attitude. Best we have encountered. …truly a magnificent property…the staff is a 10. A beloved annual tradition for over 100 years – the Steamboat Springs Winter Carnival features adults on shovels being pulled down main street behind horses and skiers jumping through fiery hoops!